Shuttles, for a fee, are normally provided. Cruise calendar for this port and where you will dock. Check here for festivals and events in Reykjavik when you are in port. One of the advantages of Reykjavik is being able to see it on foot. For passengers spending time in the city there is a wide choice of museums, galleries, restaurants and cafés. Shopping is a must too and the ultimate relaxation experience is a trip to one of the city's seven thermal baths and pools. Reykjavík hop on/off double decker busses collects passengers from next to the cruise terminal building. Allegedly it runs every half hour, and a timetable is displayed by the cruise terminal bus stop, however at times it runs closer to an hour than to the published 30 minutes. Pre-booked tickets are somewhat cheaper than paying in local currency as you board the bus. An office of Gray Line Iceland Excursions is close to the pier. Reykjavík is at the same time a small town and a capital city combining the benefits of both. It has a thriving cultural life in which its citizens take a very active part. The downtown area is rather small and walkable. Organized tours offer you the opportunity to enjoy the view and relax, while someone else takes over the planning, driving and guiding. There is a wide variety of tours available to suit all interests. A sightseeing tour of Reykjavik on arrival will familiarize you with what the city has to offer, while a day tour from Reykjavik may include the magnificent Gullfoss waterfall, the spectacular Geysir geothermal area, a dip in the mineral-rich waters of the Blue Lagoon, a visit to Thingvellir National Park (and World Heritage Site), or a close-up view of a glacier. Longer excursions around the country and into the interior are also available. 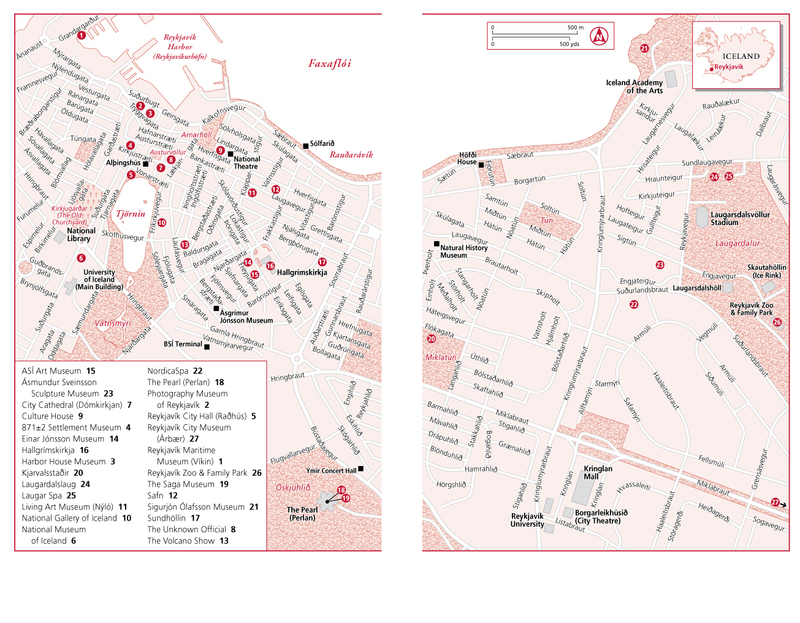 You will find tour brochures and helpful staff at the Reykjavik Tourist Information center, who will provide information on cost, duration and bookings. The Icelandic monetary unit is the "króna." Coins are in denominations of 100 kr., 50 kr., 10kr., 5 kr. and 1 kr. Bank notes are in denominations of 5000 kr., 2000 kr.,1000 kr., and 500 kr. All Icelandic banks provide foreign exchange and are generally open on weekdays from 09:15 to 16:00. Euros are widely accepted. The major cards in Iceland are EUROPAY/MASTERCARD and VISA. Cash can be obtained at every bank branch as well as in all ATMs throughout the country. The Cruise Liner Visitor center offers computers and is a Wi-Fi hot spot.